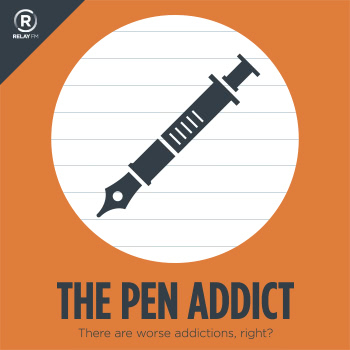 In this episode of The Pen Addict Brad and Myke welcome Scott Fuller from The Studio Temporary to talk all things design. If you listen to this show you’re sure to have run across one of Scott's great designs in your online travels. The guys also talk about a new pencil project on Kickstarter and make fun of Brad’s former life when he disliked fountain pens. Hover: Simplified Domain Management. Use code 'HELLOSAILOR' for 10% off your first purchase. Paul Joynes on Twitter: "My how far we have come. This fountain pen sound bite makes me smile everytime I hear it. 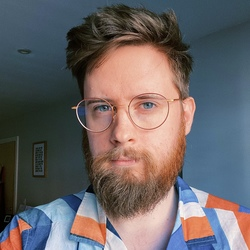 @dowdyism @imyke @trhall https://t.co/dsiy5YsEAa"
that grum guy on Twitter: "@dowdyism @NockCo tried using that URL a while ago & realised the renewal was due to expire soon so I calendar’d it just in case you didnt;)"